Language Services Bureau is a pioneering commercial translation service provider in Pune, India. We provide top quality professional commercial translation services, which is not word – to – word translation, but the translation of the essential message of the document. Language Services Bureau can help you - It is an investment that will pay off. We employ only the very best translators in the world. They are screened during our selection process through sample test translations so that only specialists having the best qualification, industry experience and subject expertise handle translations for you. We work with dependable and experienced translators and interpreters who consistently display superior performance and quality results. We ensure that the translators and interpreters have the appropriate expertise required to provide you with a high quality, culturally sensitive translation in any field that you desire. The translators are familiar with technical and trade terminology in the pertinent field and hence are able to maintain the exactness, accuracy and authenticity required in translating specialized documents. In India, English is an official language and all our translators complete their formal education (of approx. 16-18 years) in English. Our translators based in India are very experienced trained linguists with an excellent command over English, working in the translation domain for long years. The quality of our commercial translation is therefore the very best, and still cost-effective. 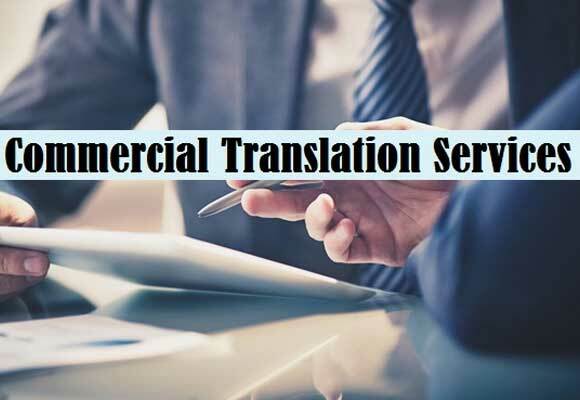 Depending on the requirement, certified commercial translation services can also be provided by Language Services Bureau.